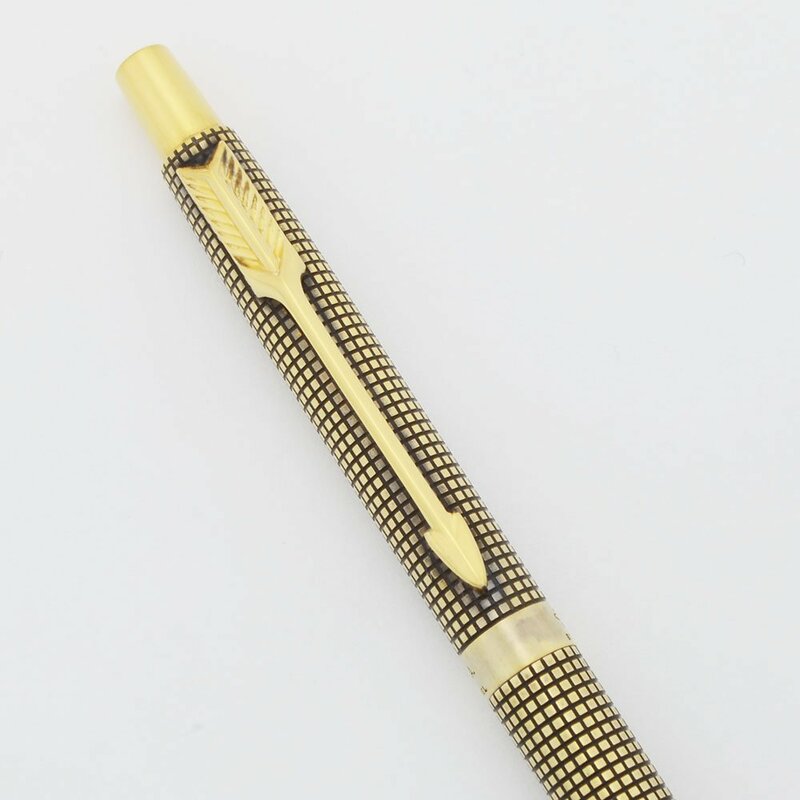 Parker Classic ballpoint pen in the Vermeil Cisele pattern, gold plating over sterling. It is similar to Parker 75's but has different trim. It is in superior condition. Filling System It takes Parker-style ballpoint refills. A working black Parker refill is installed. It uses a button aka clicker activated system to extend and retract the tip. 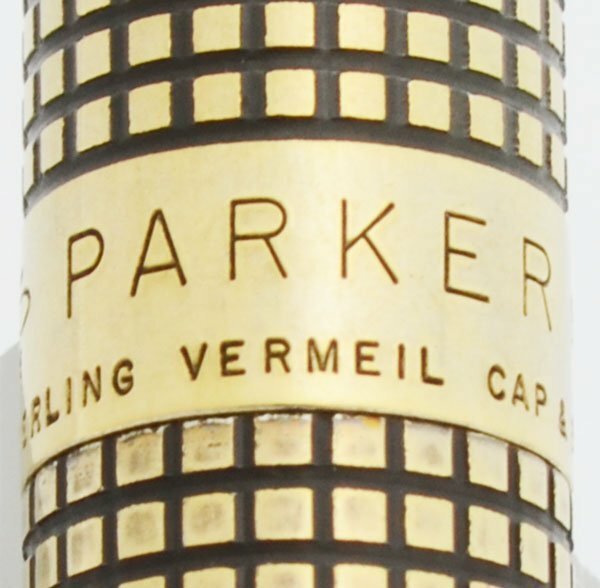 Color Sterling vermeil cap and barrel, grid pattern called Cisele, with gold plated trim. Condition Superior condition with no cracks, chips, dents, personalization or scratches. The pen is slim and lovely. The patterning is all intact and the color is beautiful. The trim is shiny and perfect, though there's a bit of plating wear on the very tip The imprints are clear.